Police Department & Fire Department will be here also to join in on the fun! It’s a FREE digital fingerprint and photo safety program. Did you know over 2,000 children are reported missing everyday in the United States? Don’t miss this opportunity to get your FREE Child Safety Kit, including digital fingerprints and photograph. 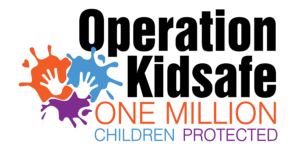 In the event your child becomes lost, or even worse, kidnapped, you will have resources to let law enforcement know you have an Operation Kidsafe document. The Police Department will know how to handle it from there. The focus of this event is preparedness and education. With the Operation Kidsafe safety tips, children can avoid many compromising situations. It is the perfect time for you to cover these tips with your child and start a family safety action plan. Operation Kidsafe captures your child’s picture and fingerprints using state-of-the-art digital video equipment and a digital ink-less fingerprint capture device, along with specialized software. The captured data is assembled, and a quality 8 1/2 x 11″ printout is given to the parent. With the hope you will never need to use it, the parent can use the printout they receive to provide law enforcement anywhere in the world the critical data required to instantly aid in an investigation. Note: All data is PRIVATE, no records or database is created.